Sony has sprung a surprise on camera buyers with the release of its Alpha 7R II. The Alpha 7 series is Sony’s unique line of full-frame mirrorless system cameras, and offers photographers a host of other ‘Unique Selling Propositions’, ranging from the low pixel count, low-light-capable ‘S’ version to the high-pixel-count ‘R’ version. 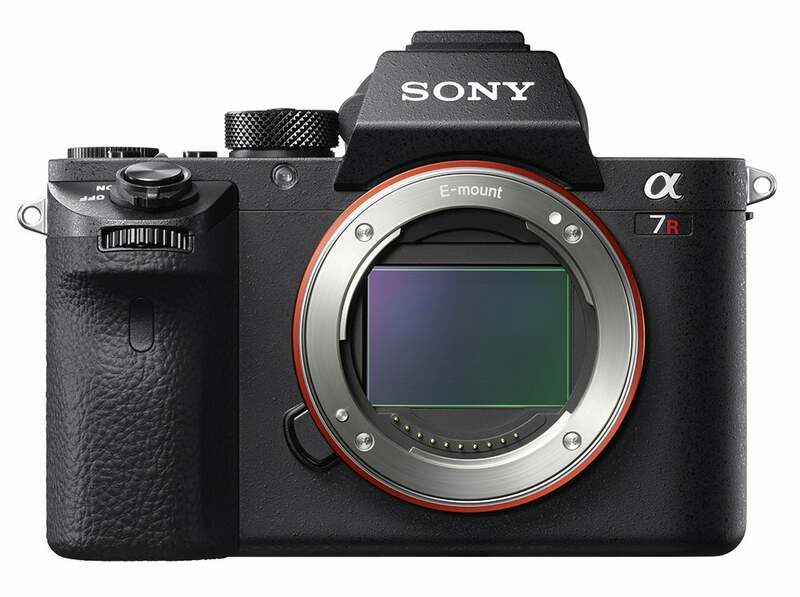 Sony recently updated the base 24.2-megapixel Alpha 7 to the Mark II with a number of carefully designed but unspectacular enhancements, which together have gathered very good reviews regarding its operational improvements over the original. One thing that wasn’t improved, however, was the sensor. The Mark II of the Alpha 7R carries across all those detail enhancements, but the big news is a brand new and groundbreaking sensor. Apart from a slight hike in pixel count (from 36.4 megapixels to 42.4 megapixels – I guess to make extracting 4K video from the sensor simpler), this sensor gains a unique attribute: it’s the first commodity full-frame sensor using backside illumination or BSI. BSI technology has generally been deployed for small sensors with very small pixels, where the lack of obstructive metal layers on top of the sensor allows an increase in light-gathering ability or quantum efficiency of those small pixels. While the new Sony sensor has many pixels, since it’s a large sensor the pixels are not small by the standards of those where BSI has traditionally been applied, and the performance degradation due to the metal layers is proportionally much smaller. Until performance tests are available, the increase in quantum efficiency won’t be known for sure, but I suspect that for this sensor, the aim of using BSI has been somewhat different. Digital cameras suffer from what might be called a ‘pixel-shading’ effect. If one considers the objective lens and pixel micro lens as a combined optical system, the f-number is limited by the slower of the two. So, even if you have an f/1.4 lens attached, you won’t get the full effect if the micro lenses on the sensor are only f/2. It has been discovered that manufacturers of cameras with this problem will often mask it by introducing a surreptitious boost to the ISO setting at wide apertures. This pixel-shading effect is worse at the edges of the frame, where the light is not perpendicular to the sensor. 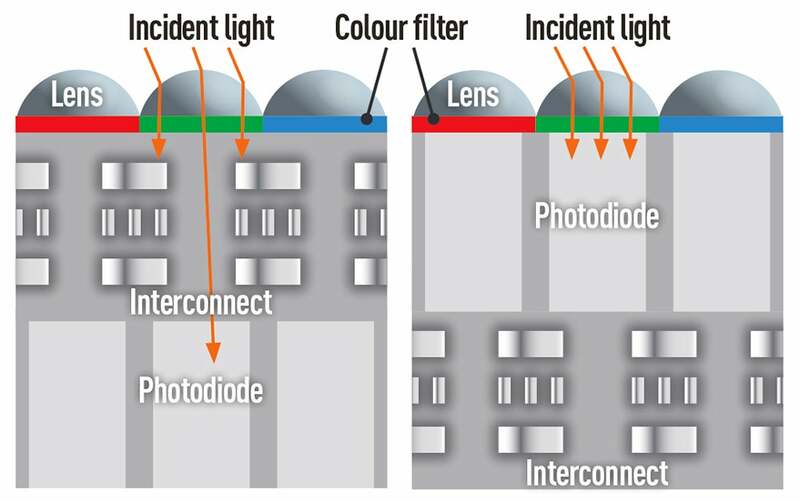 One major advantage of BSI is that the colour filter and micro lens ‘toppings’ sit directly on top of the photoreceptors, instead of being separated by a layer of metallisation. This means that their focal length is shorter, which in turn means that their f-numbers are smaller (remembering that f-number is the focal length divided by the aperture diameter, in this case the pixel width). Such a sensor should be more immune to pixel-shading effects, and better suited to use with fast lenses – precisely the kind many of you will want to mount on it.